We hold expertise in manufacturing, supplying and exporting technically advanced array of Mobile Batch Vessels that are highly durable in nature and is performance oriented. Our entire product range is well-tested on varied parameters under the supervision of quality controllers thereby ensuring its optimum quality. Steriwin Biotech Private Limited is a Private Limited firm, which was incorporated in the year 2009. 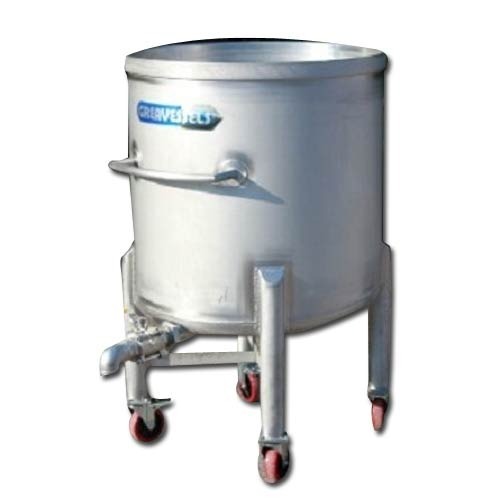 By manufacturing, exporting and supplying the wide range of Industrial Plant Equipment, Filtration Equipment & Accessories and Pressure Vessels.We also offer varied other products under this category Agitated Vessels, Mobile Batch Vessels, Sterile Mixing Vessels, Process Vessels, SS Electropolished Vessels, Holding Vessels, Storage Tanks, Reactors, Lab Scale Fermentors, Laminar Air Flows, Pilot Scale Fermentors, Prefabricated Process Skids, Heat Exchangers, Filtration Systems, Air Filters and Sanitary Filter Housings. Our products are excessively demanded not only in national market but in global arena as well. Components of premium quality are used in making of our range, so that clients are served in best possible manner. Customized solutions are also provided by us, in order to meet the specific customer’s demands. We make our products available at reasonable prices.